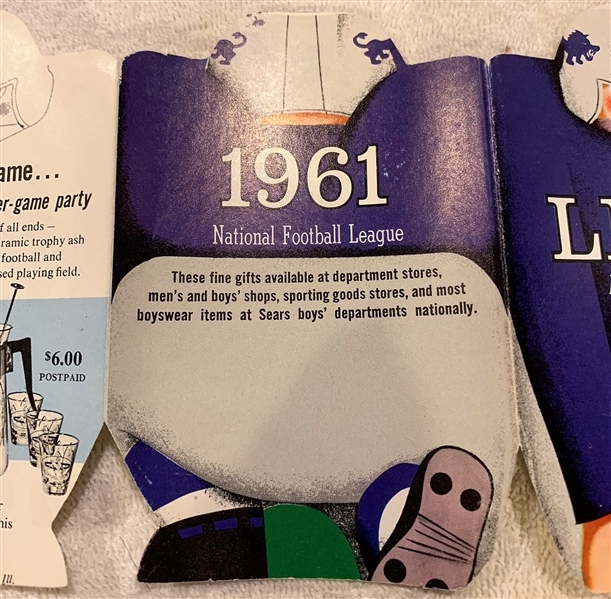 This brochure is a catalog of some Detroit Lions items being sold at Sears Department Stores in 1961. 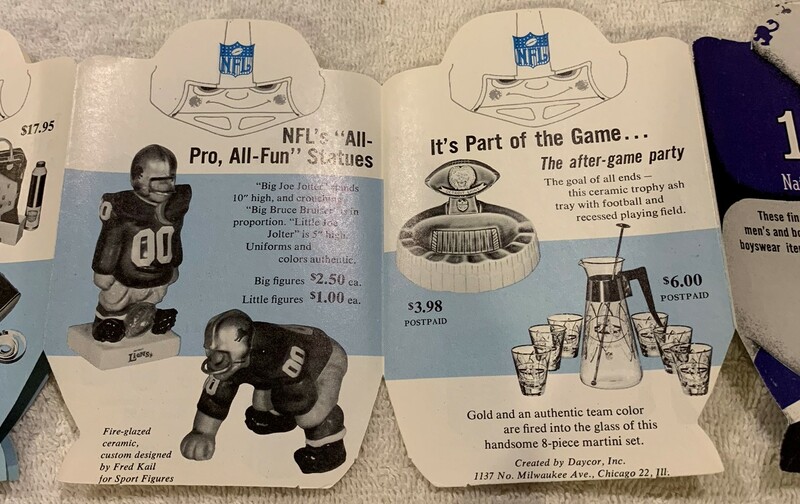 It's a fold-out catalog that has many Lions souvenirs including Fred Kail statues, Weico stadium ashtrays and Hedy glasses. 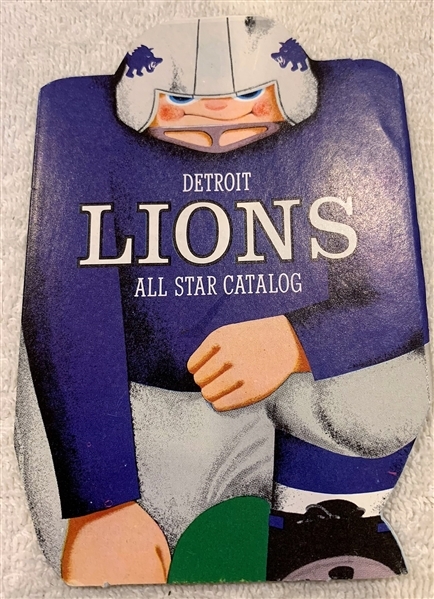 It's near mint.